Tired of looking at the cheap plastic parking brake handle every time you hop in your Speed? 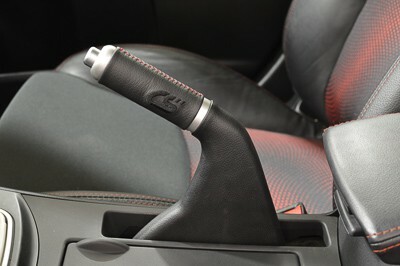 Step up your game with the CorkSport Leather Parking Brake Handle. Manufactured from cast aluminum and wrapped in premium leather, the CorkSport Leather Parking Brake Handle is a great addition. Bundle it with the CorkSport Carpet Floor Mats and Leather Shift Knob for a complete package! #ZoomZoom! The CorkSport Parking Brake Handle uses the premium leather and is hand stitched on the coated aluminum body for an OEM quality finish. CAD design for OEM fitment and we even include the tiny allen wrench to make this install a 5 minute breeze. It will take you 15 minutes to install the CorkSport Leather Parking Brake Handle with our easy-to-use instructions. I ordered this part to match my red shift knob and all red stiching from inside the car. This product definately gave a difference to the interiors.The build of the part is outstanding! great quality and stiching. The feel of the part is of great quality.This part should of came with the car from factory. If you are wondering if its worth it, well i can assure you it is! Big difference from the one that comes with the car. Love it. Feels good. Quality is great and shipping was fast! Install literally took me under 10 minutes. Props to corksport on a quality product! My wife's review of the CS e-brake handle after I installed it on her car without her knowledge. "What? What is this? Oh it's nice, kind of ribbed in the right spots. I like the logo, good girth and heft. Very phallically satisfying, so do they make one that vibrates under control?" 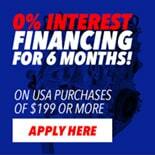 It says 2010-13 mazda 3. would this fit a gen3 Mazda 3? No, it will not, this is Gen 2 only. Is the leather grey as it appears on screen or black as the original Mazda brake color? Its very close to the original black with silver accents. 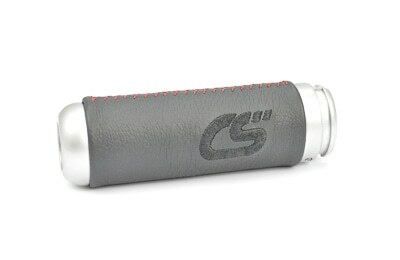 Is it possible to get one without the CS logo on it? I see this is held in place with two set screws, once installed are they visible? You dont even notice them. Are you guys planning on making these for 1st gen speeds? I do not currently have any information in regards to making a handle cover for the first generation speed. Does this include the aluminum button or just the outer part of the handle? It will just be the outer part of the handle. So this will not fit the Gen 1 at all? They look similar. What's the difference? No it will not. There are some small differences that make it not fit. It says mazdaspeed/ Mazda 3. So does that mean it would fit the Mazda 3? Does this only fit on gen 2 speeds or will it fit on gen 1s aswell? Gen 2 only as of right now.